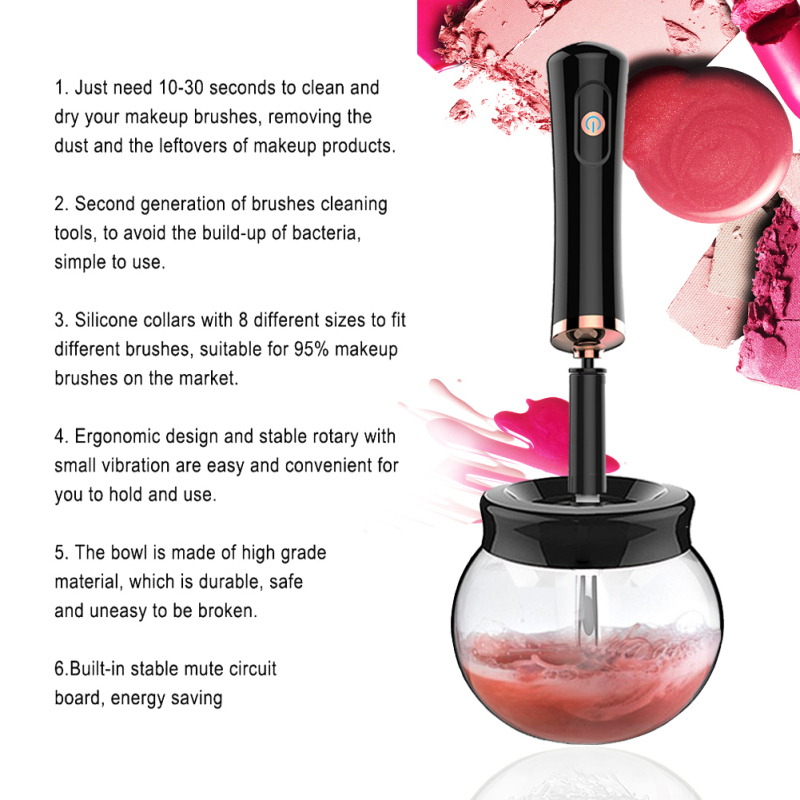 makeup brushes just in a few seconds. 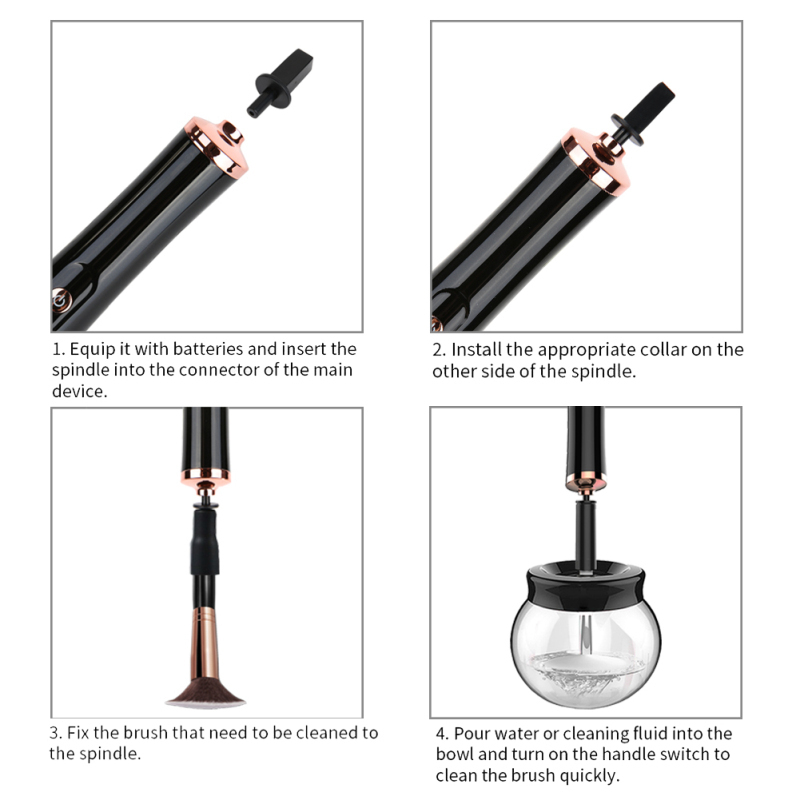 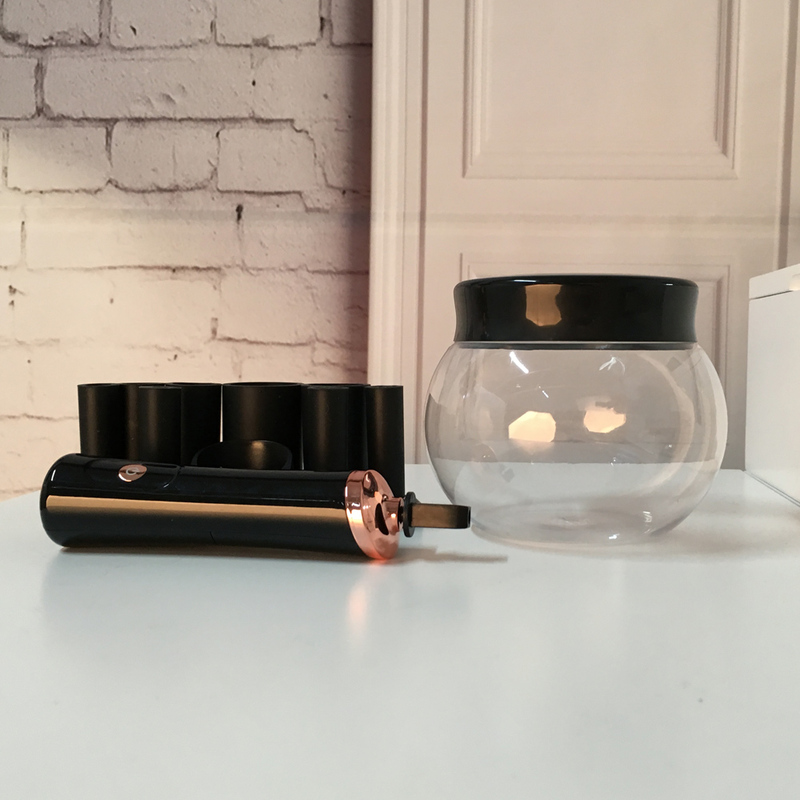 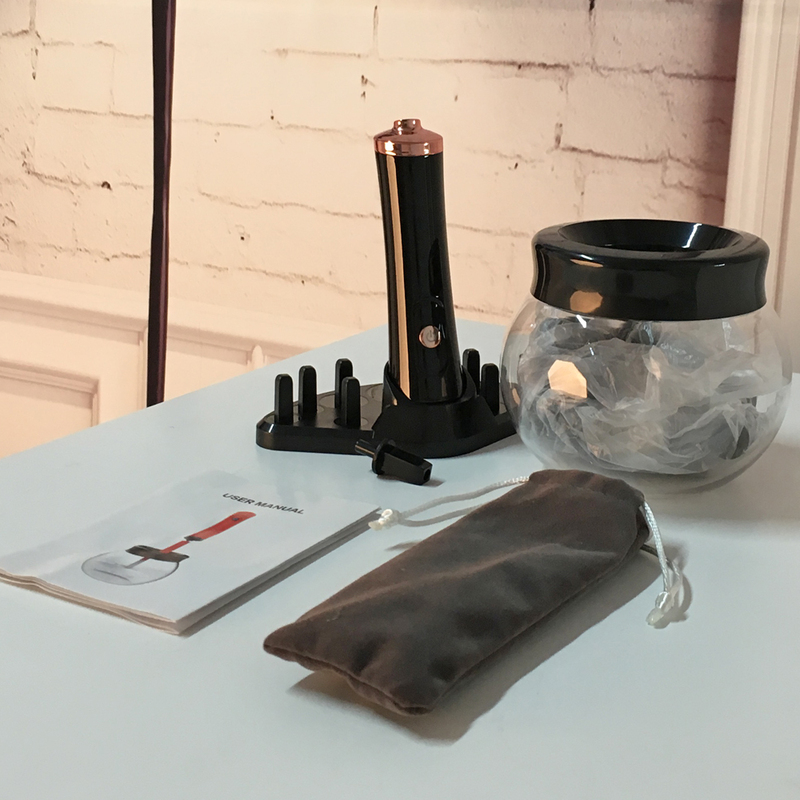 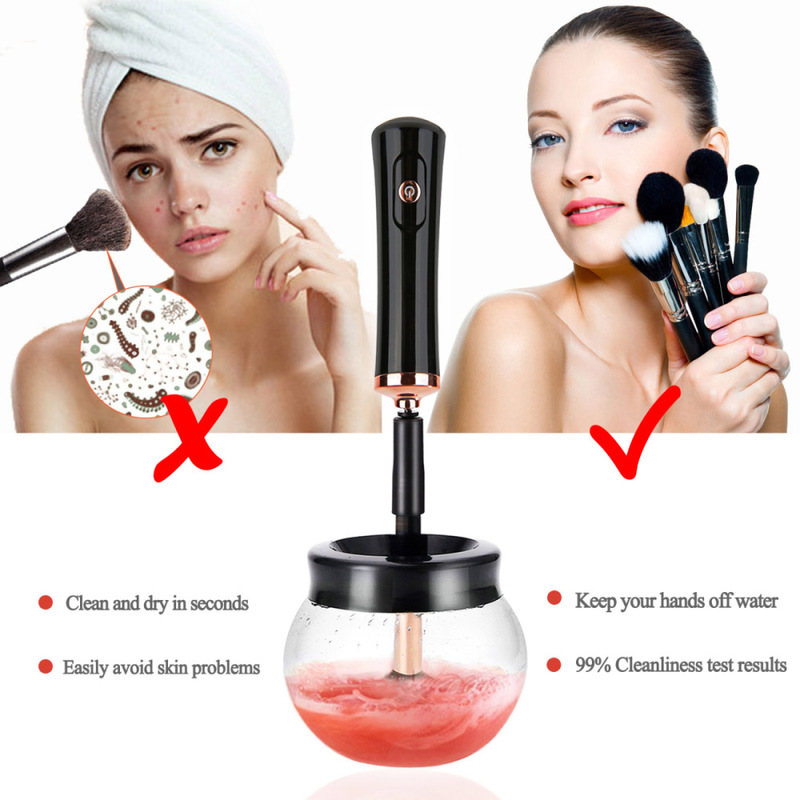 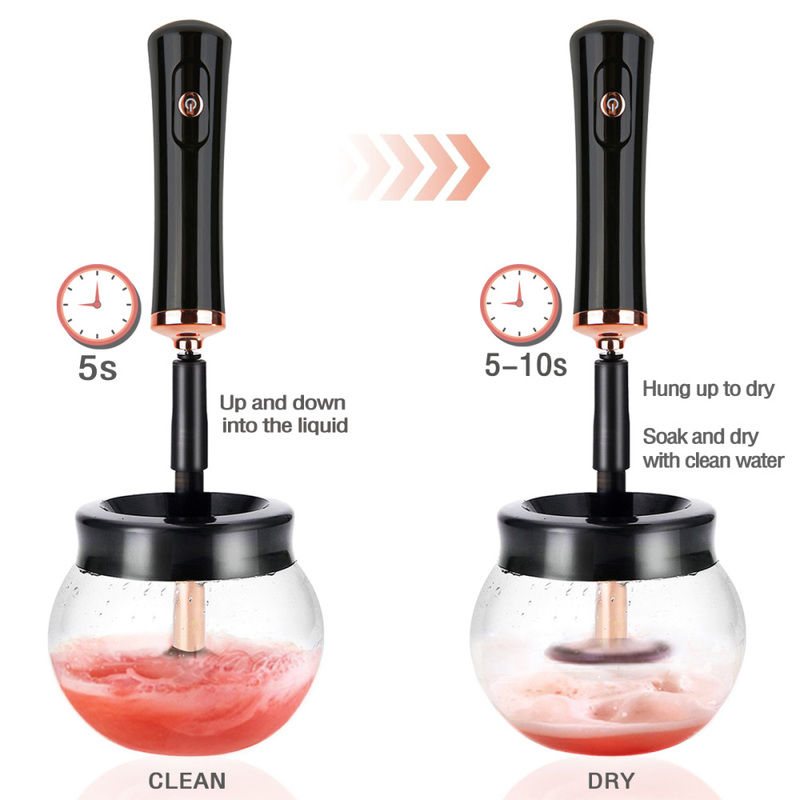 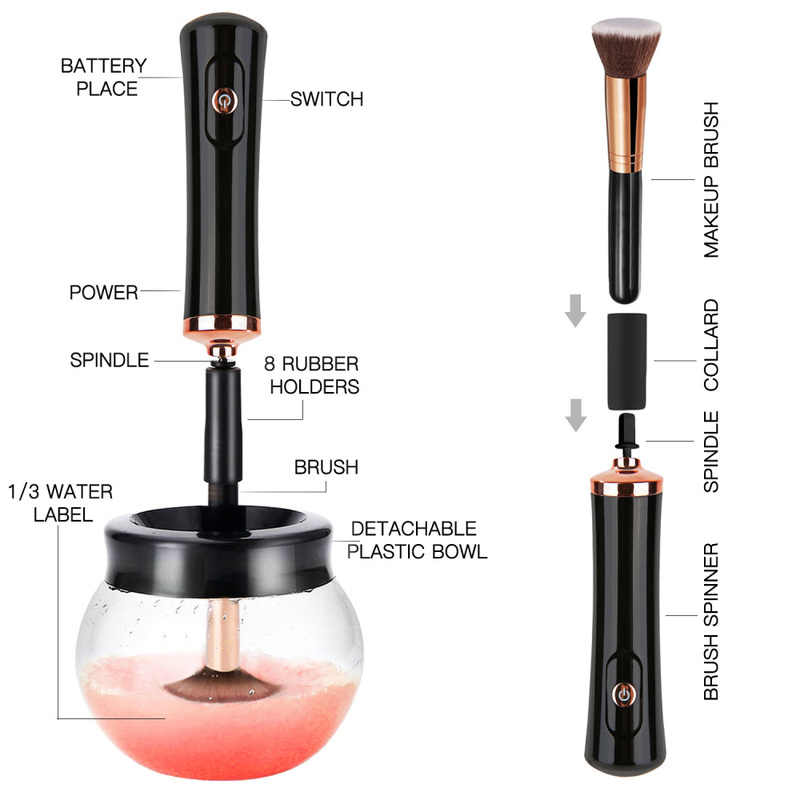 Easy to Use:3 steps to use this brush cleaner: Assemble the spinner with makeup brush; Spin and rinse; Spin to dry it. 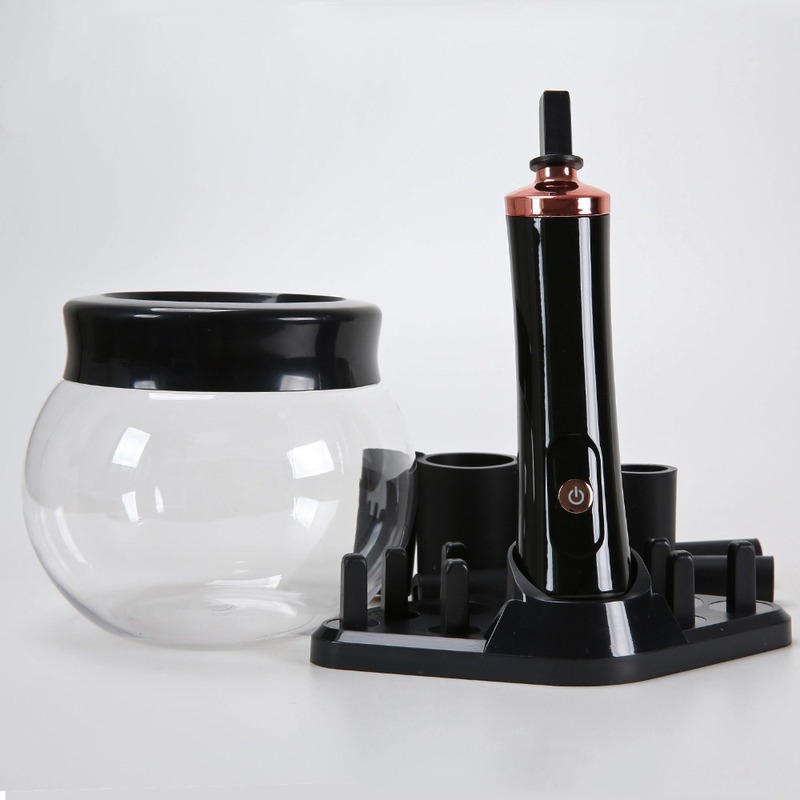 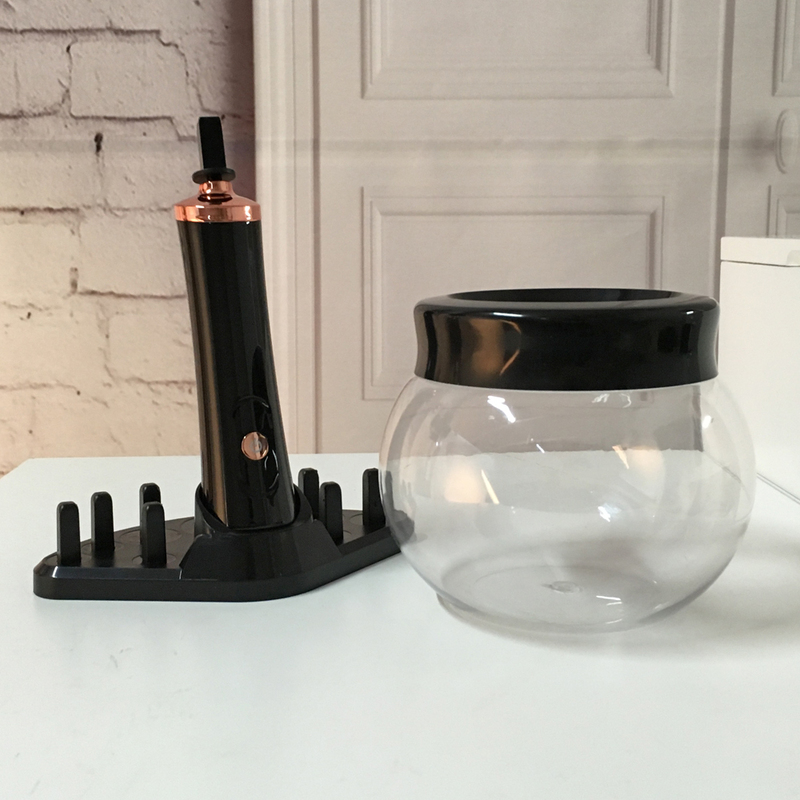 Sturdy and Durable:The clean bowl is made by high grade materials to ensure long-lasting use. 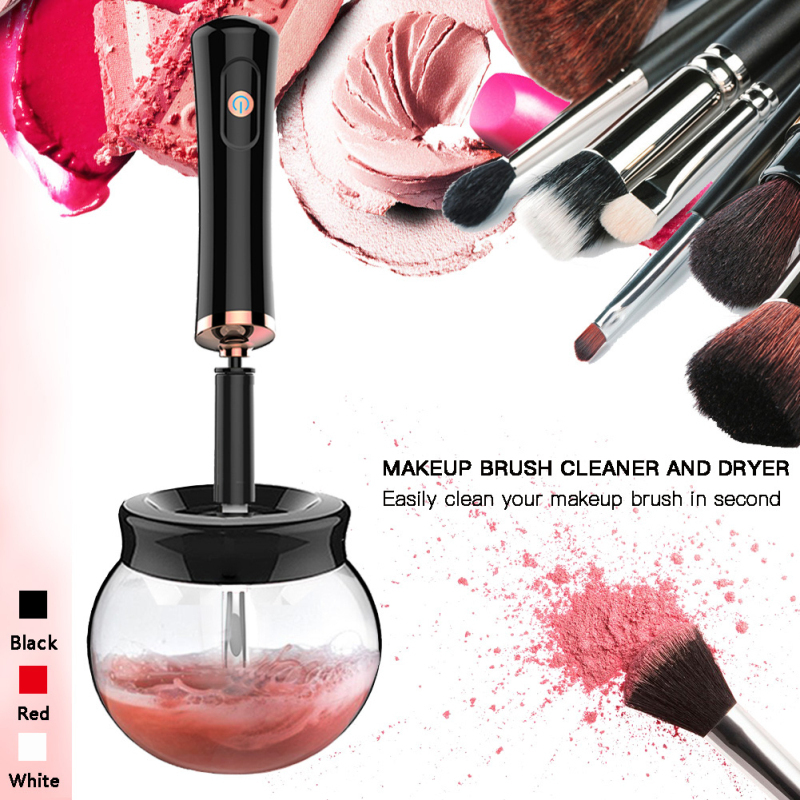 And it is nontoxic, which is environmental friendly and easy cleaning. 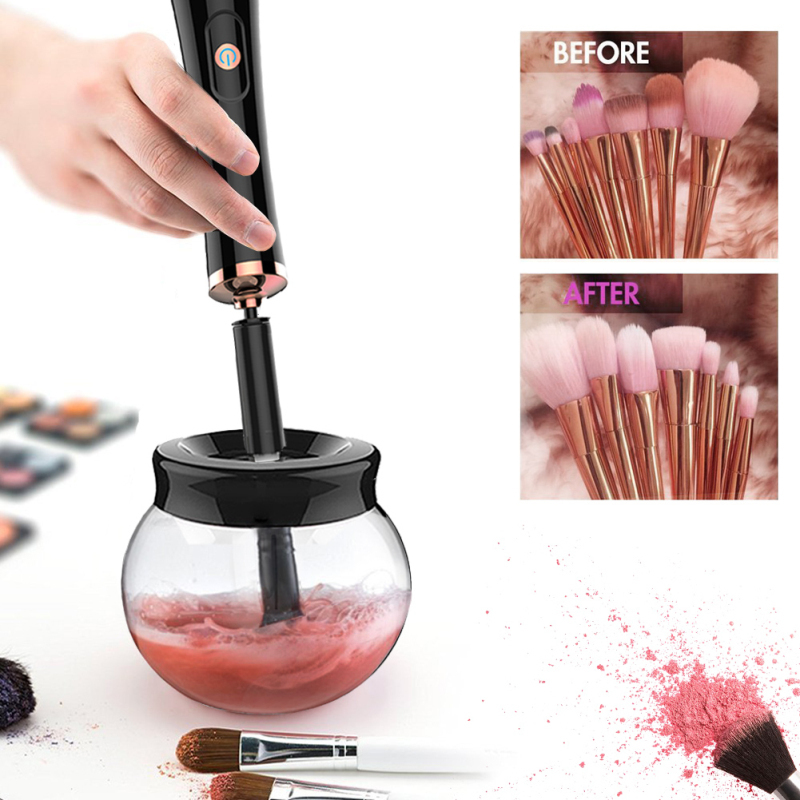 Suit for Different Sizes Makeup Brush:8 different sizes of rubber holders,suit for most type makeup brushes. 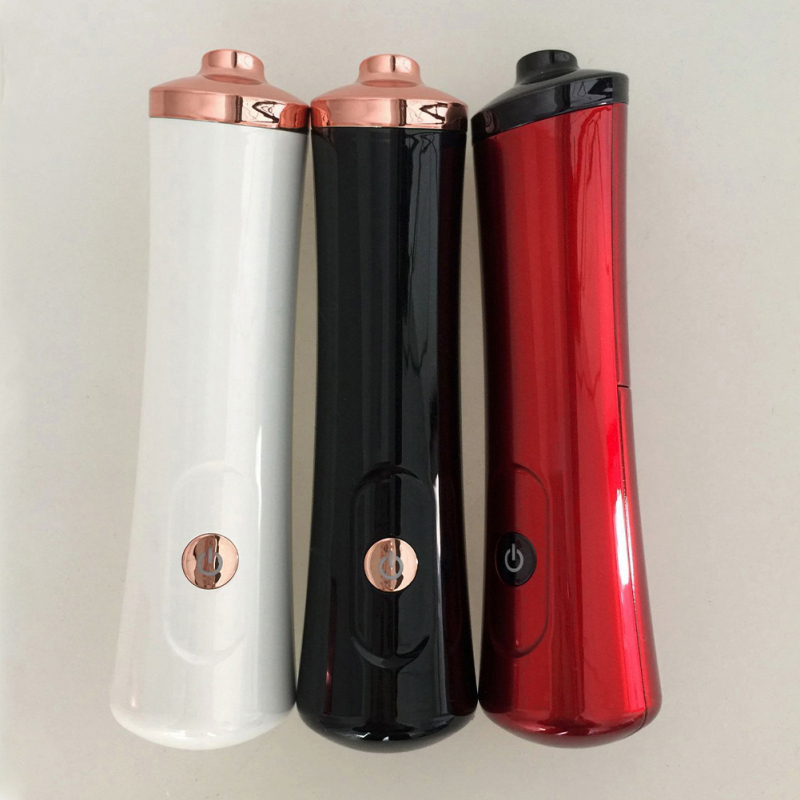 The machine is power by 2Pcs 7th battery (not included the battery).